A-1 Self Storage, the premier provider of self-storage in Los Angeles County, California, announced today the official ribbon cutting ceremony with the Alhambra Chamber of Commerce was held on March 10, 2015. This state-of-the-art self storage facility opened on February 24, 2015 and is located at 2300 Poplar Boulevard, Alhambra, CA. The event was attended by Cecilia Garcia, Alhambra Chamber Ambassador, Dr. Steve Placido, Alhambra City Councilman, and Frank Chen, Alhambra Chamber of Commerce Immediate Past President. To learn more about the newest A-1 Self Storage location in Alhambra, visit our website at http://a1stor.co/A1Alhambra. A-1 Self Storage is one of the leading providers of storage units in California, with 8 self-storage locations in Los Angeles County. A-1 Self-Storage is the Self-Storage division of the Caster Companies, a third generation family owned company headquartered in San Diego, California serving local communities since 1959. The Caster Companies specializes in acquisitions, development, and management of A-1 Self-Storage. Our real estate portfolio includes over 5 million square feet in real estate properties, including 48 self-storage locations with over 33,000 customers. It is one of California’s largest independent self-storage and car storage owner/operators. Richardson, TX – March 6, 2015: XPS Solutions has announced the new promotion of one of their veteran employees, Michael Roberts. Formerly Vice President of Business Development, Roberts is now Executive Vice President of Business Development and Operations. With 17 years of previous sales management experience, Roberts became a valuable asset for XPS Solutions when he joined the team eight years ago, and has since been an integral part of business development. From managing daily business activities and sales, to furthering the vision and execution of company expansion, Roberts has made fundamental contributions to XPS Solutions that have helped shape the organization into the industry leader it is today. Roberts’ promotion is the result of big advances at XPS Solutions. In June 2014, the company moved headquarters to expand their space and capacity by 50 percent. The state-of-the-art XPS facility in Richardson, Texas, is the Centralized Sales and Support Center for thousands of independent self-storage sites, and facilitates business growth within the self-storage industry. XPS Solutions has also unveiled a new product suite featuring unique programs that enable Big Data collection and analysis, enhanced prospect conversion rates, and complete call and web lead coverage. For more information, visit www.xpsusa.com, or call (877) XPS.USA1 with specific inquiries. Storage Pro announces new management accounts! Storage Pro continues to grow with 6 new management accounts bringing its total to 40 locations owned or managed. Storage Pro Walnut Creek, CA is pleased to announce 6 new management accounts in Antioch, Pittsburg, Martinez, San Leandro, Fairfield, and Truckee. Storage Pro continues to grow with 40 locations owned or 3rd party managed. Steve is past President of California Self Storage Association industry trade association and is a frequent speaker on industry panels. Storage Pro was founded in 1990 in Stockton, CA. Richardson, TX – February 25, 2015: XPS Solutions is innovating yet again, and has launched a new Competitive Market Audit program. The XPS Marketing Team has been hard at work conducting Self-Storage Market Research Audits in a variety of areas, and is making the data discoveries available to self-storage proprietors for free. Independent site owners will now have the opportunity to access valuable R&D findings specific to their facility. The market data will help site owners know if their marketing strategy is actually translating to rental conversions, and how their self-storage site directly compares to the competition. In addition to the launch of this comprehensive audit program, XPS is continuing to provide turn-key solutions for site owners looking to grow their self-storage business. With their state-of-the-art Centralized Sales and Support Center, XPS is able to provide complete call, web lead, live chat, and pay-by-phone coverage, while minimizing cost and maximizing quality. John Traver, CEO of XPS Solutions, goes on to add, “The fact is, one and done selling doesn’t work most of the time. In order to get your share of the market, you have to be following up with your prospects. If you don’t, you’re leaving rentals on the table for your competitors.” The Prospect Conversion program leverages professional contact systems to capture self-storage shoppers that are not a first call or visit close and increase rentals. To support the launch of these latest XPS programs and solutions, XPS has created a brand new website that can be found at www.xpsusa.com. Self-storage site owners are now able to submit their general company information via this website to find out their qualifying status for access to free site-specific Competitive Market Audit findings. For more information, visit www.xpsusa.com, or contact Michael Roberts (mroberts@xpsusa.com; 972.865.4312) with specific inquiries. Alhambra, CA – February 24, 2015: A-1 Self Storage, the premier provider of self-storage in Los Angeles County, California, announced today the opening of its newest self-storage location in Alhambra, CA. This 105,033 sq. ft. state-of-the-art facility offers 744 storage units and is located at 2300 Poplar Boulevard. Featuring 24 hour video surveillance, coded keypad entry, and cylinder locks, this brand new facility offers the very best in security. Access to the facility is available from 6 a.m. to 10 p.m. daily; some of the longest access hours in the area. Wide loading/unloading areas with easy building access were designed to make moving quick and convenient. This facility is centrally located near the Costco/Target Shopping Center, providing affordable self-storage to businesses and residents in the western San Gabriel Valley including Alhambra, Monterey Park, South Pasadena, and San Gabriel. A-1 Self Storage is scheduled for an official ribbon cutting ceremony with the Alhambra Chamber of Commerce on March 10th at 11 a.m. We encourage businesses and residents of the city of Alhambra to join us for this brief ceremony and refreshments. Facility tours will be available to the general public following the ceremony. Westwood, KS, February 2, 2015 — Meet storEDGE, the new brand name for the family of management and marketing solutions from Red Nova Labs, Inc. The storEDGE brand, formerly known as StorageAhead (WebWorks, WebReady, StorageFront, StorageHounds), encompasses Red Nova’s entire platform of integrated products for the self storage industry. (Temple, GA – January 16, 2015) Janus International Group LLC, a manufacturer of steel roll up doors and building components designed for the self storage, industrial and commercial door dealer markets hired Terry Bagley as Vice President of Business Development. Bagley has been involved in the self storage industry for 14 years in various capacities. Previously, Mr. Bagley was the President & CEO of Centershift, Inc., an innovative and leading rental management and point-of-sale software solution to the self storage industry. He also set the strategy and led the successful acquisition of Hi-Tech Smart Systems RentPlus management software and customer base in 2011. 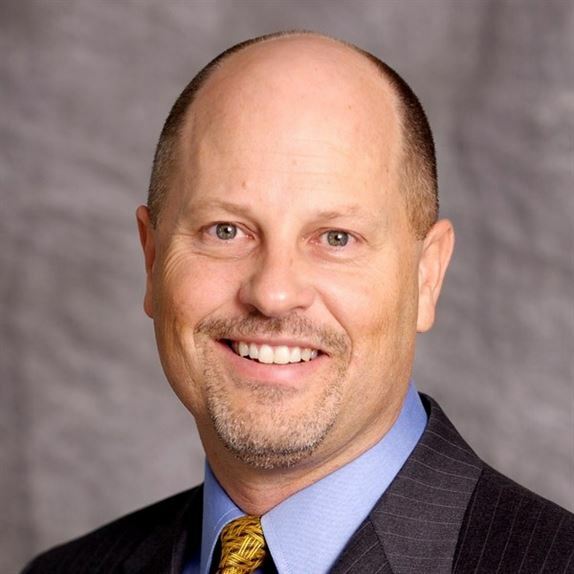 Mr. Bagley currently serves on the national (and international) Self Storage Association (SSA) board of directors and is the Co-Chair of the Utah Technology Council (UTC) Public Policy committee. Previously he served on the Board of Centershift, Inc. (2005-2013), the Utah Self Storage Association Board of Directors (2007-2010). In 2012, Mr. Bagley was appointed to a two-year term on the Utah State Board of Education Nominating & Selection Committee by the Governor of Utah. Mr. Bagley also speaks at industry trade shows/conferences and he is a frequent editorial contributor to industry trade publications and magazines, including the SSA Globe, Inside Self-Storage, and Mini-Storage Messenger. Before entering the self storage industry, Mr. Bagley spent almost 20 years in the technology industry in various leadership positions in business development, sales and marketing and management for both private and publicly traded companies that included 3Com (acquired by Hewlett-Packard), US Robotics and Megahertz. Mr. Bagley earned a bachelors degree in Accounting from Brigham Young University as well as an MBA from San Jose State University. He has also attended post graduate training courses in various business-related subjects, including executive education courses from The Wharton School of the University of Pennsylvania. He resides in Salt Lake City, Utah with his wife and family. Janus International Group is a global manufacturer of roll up doors, as well as a provider of self storage solutions. Headquartered in Temple, Georgia, Janus has eight U.S. locations, including the United Kingdom and a joint venture in Mexico. Janus is owned by Saw Mill Capital located in New York. For more company information, visit our website at www.janusintl.com. Irvine, CA (January 6, 2015) – StoreLocal, the industry's first member owned co-op for self storage operators, announced today the acquisition of StorageFront.com and SelfStorgeHounds.com from Red Nova Labs, Inc. As part of this acquisition, StoreLocal will place a significant investment in increasing both sites’ lead volume and their overall user experience. Existing self storage operators will continue to receive leads under their existing agreements. storEDGE, powered by Red Nova, is a comprehensive suite of web-based solutions designed specifically for the self storage industry. The storEDGE self storage platform gives storage operators a competitive edge by providing tools to boost rentals, track leads, manage operations, and maximize ROI. Together, our experience in online marketing and our knowledge of the industry is what makes our technologies – and your storage facility – succeed. Alexandria, VA - Self Storage Association (SSA) President & CEO Michael T.Scanlon, Jr., today announced that Sr. VP of Government Relations Timothy J. Dietz, CAE, has been promoted to the position of chief operating officer (COO) effective immediately. Scanlon said Dietz will take on additional executive responsibilities while continuing to manage advocacy duties for the SSA and its 5,500 members throughout 2015. Scanlon, who previously announced his intent to retire this September, said the organizational adjustments will ensure continuity of administrative coordination during the transition process. Dietz joined the organization in 2004 and has filled various executive functions, most recently overseeing lobbying activities nationwide that have significantly improved the business arena for the 48,000-plus property real estate sector. "I have had the opportunity to work with Tim Dietz for many years, and as I look toward retirement this fall, I know for sure that he is prepared to take on additional responsibilities that will take the SSA to the next level," said Scanlon. "As COO, Tim will become more involved in the Association's decision-making process and interactions with the board of directors. He has done great work in managing our communications activities - including the development of SSA Globe magazine into the largest-circulation publication in the self storage industry - and leading our many lobbying successes in states throughout the country." Prior to joining SSA, Dietz held government relations and communications roles for various nationally-focused organizations, including chief lobbyist for MACTEC, Inc., a Colorado-based environmental remediation government contractor; and management of investor relations for Alexandria, Virginia-based Metrocall, Inc. In 2011 the George Mason University graduate completed his Certified Association Executive (CAE) designation through ASAE, the Center for Association Leadership, which is based in Washington, D.C.
"Over the past decade, Mike Scanlon has overseen tremendous progress in the development of the national Self Storage Association (SSA), an organization that represents a still-young yet robust real estate segment," said Dietz. "Under his leadership, this organization has consistently provided improved benefits and important representation for self storage owner/operators. I look forward to working closely with Mike and the entire SSA team as we continue to provide our members with a superb association experience." 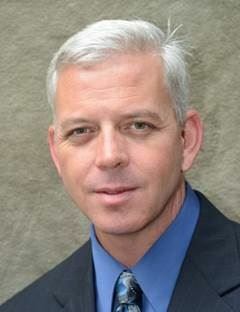 Follow Tim Dietz throughout the year on Twitter at @SSA_TDietz and feel free to email him at tdietz@selfstorage.org. The Self Storage Association (SSA) is the only national not-for-profit trade organization for the industry and the registered lobbying organization before the U.S. Congress and federal agencies. SSA is official voice of the $24 billion (revenues) self storage industry that currently numbers 48,500 self storage facilities nationwide. The SSA directly represents some 5,500 direct and indirect member companies that own and operate some 22,000 self storage facilities throughout the United States. The SSA is affiliated with more than thirty (38) state and regional associations in the U.S. and several international associations representing Asia, Australia, Canada, Europe, Japan, Latin America and South America. SSA members range from individual facility owner-operators to multiple-facility companies, to vendors, to large publicly traded firms and Real Estate Investment Trusts (REITs).